Leslie Helm’s Yokohama Yankee is an intimate memoir of his Japanese heritage and the rise and fall of his family’s businesses over five generations. But below the surface, it’s a narrative that operates on many more levels. On one plane, it is the painful journey to understand what drove his late father to drink and what fuelled his anger. 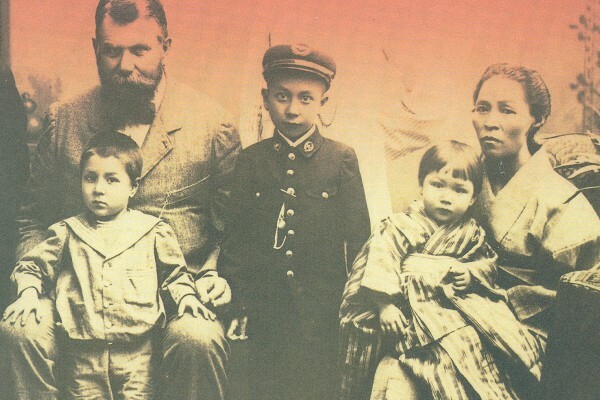 On another, it is the reconciliation of family memories and a historical documentation of his predecessors, starting with great grandfather Julius Helm who arrived in Yokohama in 1869 and went on to found the family dynasty. On yet another level, it is an examination of Japanese culture and isolationism against the backdrop of militarism during the rapid industrial and commercial growth of Yokohama after it opened the kimono to Western interests in 1853. And on yet another, it’s a story about the uncertain path he and his American wife undertook adopting two Japanese children after they discovered they could not bear their own. Threaded through all these narratives and others, however, is the dominant theme of his own struggle with being part Japanese and part German-American, neither fully accepted by the Japanese he encountered nor, at times, fully accepting of his own heritage. He was, as he notes, a “Third Culture” and that perspective added to my own reading and teased out more insights: I grew up in Japan from 1960 to 1965, aged three to eight years old and Leslie Helm was my friend. Our parents were also friends and we often shared BBQs and parties. We lived at Yamate Cho, the Bluffs, also known as the foreigner’s district, attended the International School together, romped between the headstones of the Foreigner’s cemetery across the street from his family home, and hung out at the idyllic expanses of the Yokohama Country and Athletic Club with all the other gaijin. It never struck me that Leslie was part Japanese any more than it might have struck him that I was part Indian, my father having been born in India and my English mother being white. We were kids just playing. It wasn’t until I returned to England I discovered the West’s latent racism. With those memories in the back of my mind, I was fascinated to read how his great grandfather played a pivotal role in training and shaping Japan’s new military after the end of feudalism, about the Japanese wife, Hiro, Julius married, the children they bore, and the impact of that union on both sides of the cultural gap and future generations. As he tells his own story, he also tells the story of Japan and Yokohama and the devastation it suffered first from natural disaster and later from the war. 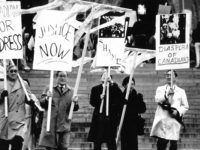 Fluent in Japanese – I’ve long forgotten all but a few phrases and curses – Helm also examines his own prejudices that may have influenced his reporting at the Business Week and later as a Los Angeles Times correspondent in Tokyo. The book is a wonderfully easy read with stunning pictures and illustrations woven through the pages. It’s recommended for anyone with an interest not only in Japanese history from a different perspective, but also of how visible and invisible cultural barriers surround us. Ian Harvey has been a journalist for 36 years and currently resides in Toronto. Publisher: Chin Music Press Inc.